Rocky Mountain National Park's Boulder Brook is an awesome location for a hike amongst the Autumn splendor of Colorado's high country. The hike weaves in and out of some of the Park's best Aspen Groves. 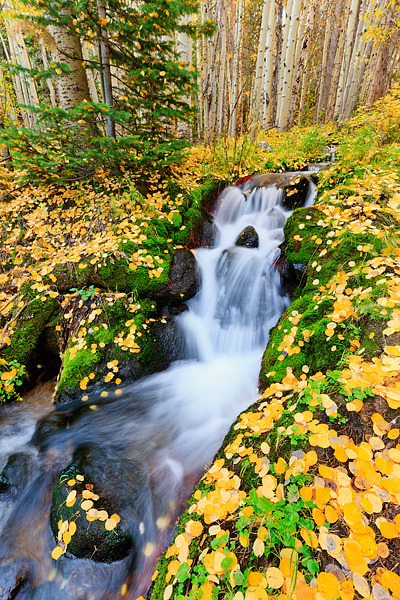 Golden Aspen leaves will coat the mossy brook's bank and the combination of green moss, golden aspen leaves, and a bubbling Boulder Brook help to create a fairy tale like atmosphere. Photo © copyright by Thomas Mangan.